3D Printing and Rapid Prototyping: Future or Fad? What went through your mind the first time you saw 3D printing in action? Did you simply think, “Hey that’s moderately cool. Oh look, a squirrel”? Or did you think, “Wow. I could build ANYTHING with that!” The very fact that you’re reading this article means it’s safe to assume that you belong to the latter group. Is it just ‘cool’ though? Is it just the next big thing like flying cars and meals-in-a-pill? Those are potentially really useful things, yet they never became mainstream. Is that how it’s going to go down for 3D printing? Some things like Personal Digital Assistants (PDAs) and Walkman cassette players made the jump from fad to trend, but still faded away. Why? What is it that makes an explosively disruptive technology last, while others fade away or never make it out of the gate? There are more criteria for that than we can possibly compile, and many of them just can’t be measured, like the ‘cool’ or luck factors. Ultimately, time decides. So what happened to the PDA? It could be argued that they were a bit ahead of their time. Computers just weren’t everywhere like they are today, and a paper day-planner did everything that most people needed, at least as fast. So actual need and ease-of-use wasn’t there. The Walkman, however, was easy to use and people really wanted to be able to listen to their favourite music, in private, anywhere. There was nothing going against the Walkman until the medium of the music changed. CDs came along and then the rise of the Internet, and MP3s started to make the cassette tape and CD irrelevant. Technology just outpaced the portable tape player, and it evolved into the MP3 players, which were assimilated into the smartphones we love today. Will those sorts of things happen to 3D printing and rapid prototyping? Unless we can print a working crystal ball or TARDIS, there’s no way to know for certain. We can look into the past, however. According to at least a bajillion different historians and philosopher types, history can help us forecast the future. The whole idea of designing and prototyping objects is to take our ideas and make them real, see if they work, then change the design to be better. Then we prototype it again, see if it works, then change the design to be even better. This is the feedback loop. Designers, creators, fabricators, artists, and inventors all follow this process. In the past, a person would sketch out their idea, making changes on paper. Then they would choose a medium in which to make the item – wood, metal, plastic, whatever. Then they would spend a lot of time working and machining, chiseling and forming, until they got what they thought was a pretty good prototype. Once finished, they’d test it to see if it was as good as possible. If not, it was back to the drawing board. By going through this process just three or four times, it could literally take a year until they had something they were satisfied with. Time IS money, right?! The drawing part of the process was easy to improve. We came up with standardized drafting techniques and tools. Eventually we had computers and software, so drafting was quicker and making changes was easier. But the fabrication part didn’t evolve much. It didn’t get better by the leaps and bounds that drafting had. People tried, though. There are patents for ways of creating 3D items dating back to the late 1800s, but none of them were simple, versatile, or affordable enough to be mass produced. One method invented by François Willème and patented in 1864 was the photosculpture. Although it was used mostly for artistic purposes, the idea was there to take an object and quickly duplicate it, if not actually create it. Watch this video of the process being done in 1939, by Marcus Adams. Even today, it is awe inspiring. 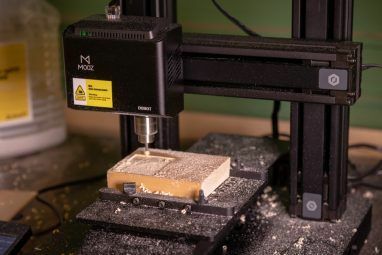 In the 1940’s Numerically Controlled (NC) milling machines could read punch cards and automatically carve the design out of a chunk of metal or wood. This might be considered the start of 3D printing. In 1951, a Computer Numeric Control (CNC) mill was made at the Massachusetts Institute of Technology (MIT). CNC mills got better and smaller, but were still too large or expensive for anyone but manufacturers to use. The high speed of the specially designed and super-sharp mill bits were also dangerous, should they break, and they do break often enough. There was nothing that could be used in a fairly small space, safely, and was reasonably affordable until very recently. Take a look at this one. In the late 1970s to early 1980s, a few smart people came up with an idea for three dimensional printing using polymer resin and light. Being the brainchild of Mitsubishi Motors in 1972, it took until 1981 for Hideo Kodama of Nagoya Municipal Industrial Research to actually do it. It worked by having a bucket of resin slowly move down while lasers were pointed at it from the top and one side. Where the lasers met, the polymer goop hardened. In just a few minutes, you could be holding a resin model of a design that was in your head just that morning. The following video shows you what is happening in a photopolymer 3D printer. Looking for a more in-depth explanation of how 3D printing works What Is 3D Printing And How Exactly Does It Work? What Is 3D Printing And How Exactly Does It Work? 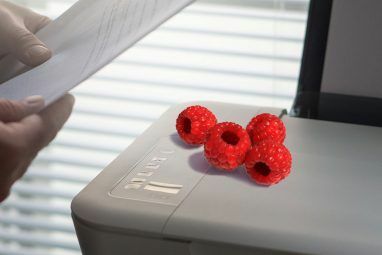 Imagine if you could print out three-dimensional objects straight from a printer in your home. When I was a kid in primary school, I thought it would be awesome if I could print pizzas out... Read More ? We have that, too. You can see this method might not be ideal for use at home. Although photopolymer 3D printing is terrifically accurate, it can be a bit messy if your cat knocks the printer over. Then came along Fused Deposition Modeling (FDM) printing. To put it into simple terms, it’s a printer that squirts out (deposits) melted plastic a little bit at a time. The plastic has to be hot to squirt through a little nozzle, so it sticks (fuses) nicely to the layer of plastic that was previously squirt out. This happens layer after layer until you have a three dimensional object or model. You could do the same thing with hot glue gun if you had nerves of steel and the patience of Gandhi. 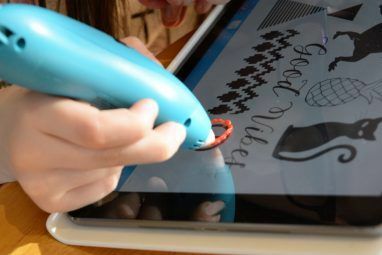 Or if not, check out the 3Doodler 3D printing pen 3Doodler 3D Pen Review and Giveaway 3Doodler 3D Pen Review and Giveaway The 3Doodler is a pen that draws in 3D plastic. Meaning, you're not limited to drawing on paper — you can also draw in the air. Read More . Here’s a video of a MakerBot FDM printer in action. MakerBot is one of the major players in bringing 3D printing to the masses. Their printers are small enough to use at home and affordable for many people. But not me, yet. With 3D printing, CNC milling, and other technologies becoming less expensive, more precise, and easier to use, just about anybody can make their idea into something they can hold in their hand. In doing that, people who have great ideas can bring inventions and products to the market that might never have made it. Like this exoskeleton thingy in the picture below. Looks cool, no idea what it does. As artists and DIY communities continue to gravitate to 3D printing, we are seeing exponential adaptation. “Everyday, more people have access to 3D-printing technology thanks to the open-source hardware DIY clubs, hacker and maker spaces and Maker Faires Four Reasons Why You Should Visit Your Local Hackerspace Four Reasons Why You Should Visit Your Local Hackerspace Read More that (keep) popping up in cities around the globe. Good international examples are Wevolver in London and Amsterdam, the FabLabs, and the more recently, the 3D Hubs network, which grew from connecting a couple of hundred 3D-printers to more than 7,000 in less than a year’s time.” notes Rudy de Waele, Technology Innovation Strategist and Author/Curator of Shift 2020. Right now there are thousands, if not millions, of files on the Web that you can just load into your 3D printer and make the item. You don’t even need to know how to design anything. What effect will that have on the transportation, retail, and aftermarket service markets? It’s hard to say, but if it saves businesses and people money, it’s usually a safe bet it will catch on. Will it Stay or Will it Go? We’ve seen that there has a been a long standing demand for 3D printing and that it does save people time, energy, and money. We’ve also seen that there are a few ways that 3D printing and prototyping can be done – CNC machines, photopolymers, and FDM are just three that are available. So, the medium might change, but the essential 3D printing processes will continue. The process is also becoming more portable, easier to do, and more affordable almost daily. 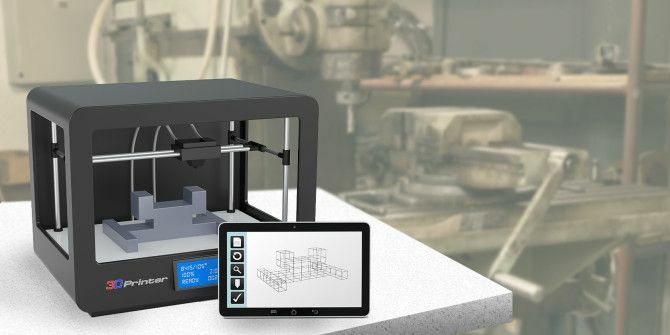 There’s even a $100 3D printer that should be available soon. With that much going for it, and the ingenuity of the items being created with 3D printing, it certainly seems like it’s here to stay with us, at least as long as the Walkman…if not longer. What do you think? Fad or Future? Any plans for getting a 3D printer or CNC mill for yourself? Do you already have one? If you do, what do you use it for? Would you recommend other people trying 3D printing out? Let us know, down below. Sorry, Only Slightly Hardware Related. Do You Know Those Open Tables For Motherboard Testing ? I Get All Warmed Up When I See A Picture Of A "MSI Big Bang" One. Is There An Old Article Here About This Type Of Device ? If Not, Could You, Or Any Colleague Of Yours, Considerer Writing One ? I Love Tinkering With Hardware Even More Than With Software. We do have articles about motherboards, but not much that is product specific. RobH, I agree that the hobbyist level printers and CNC mills may not have the capability to mass produce low-tolerance items. That isn't really the point of them though, is it? For the hobbyist, it's the doing that is the point, not necessarily just the end product. There are also many brand-new products you can't buy a part for, no matter what. That's just for the hobbyist. What if you were with Doctors without Borders? You could take a 3D printer and supplies to remote areas and make a custom temporary prosthesis or other items that flying in would be too hard or expensive to do. Expand your horizons and you can find uses for even the lowliest 3D printer that makes it a paradigm busting tool. Good evidence Gerry. I agree! At the risk of sounding like an out-of-touch futurist, I believe additive 3D printing is the direct precursor of a device like the replicator on Star Trek: The Next Generation. Hope the "replicator" can print both the cup and the coffee. A star trek fan here. Since NASA has successfully tested 3-D-printed rocket engine injectors and Lockheed Martin, the biggest US defense contractor, is using the technique to build its satellites, I think it's safe to say this is becoming an established manufacturing technology, not a fad. There's a big gap between the popular perception of the capabilities of 3D printing and the reality. For specific tasks and with high-end technology it does have a place. OK for prototyping and for low volume production but currently very expensive and time consuming. The low budget hobbyist machines are no more than interesting toys. I can produce a pixellated plastic egg cup in only a few hours - great... I can buy a ceramic egg cup for less than a dollar. I can make a wooden one on a lathe in a few minutes. Sure I could design something unique and make it with the 3D printer but I may need to spend a few hours with the 3D design software to get a usable design. The promise of "when you need a new wing mirror for your car, just print one" is garbage. You might print the plastic housing but you probably need the whole module with mirror, heating elemement, adjustment motors, cabling, rubber gaskets, bits of metalwork. No chance. So if you're going to need to buy those more expensive components and assemble the device, surely cheaper and simpler to buy the whole thing including the, mass produced for pennies, plastic housing. Whoa! Baby Steps.... Progress, not perfection. If I looked at everything that way, I'd be a hermit in a cave doing nothing. There are two ways to read something. One is to pay attention to the actual content , claims, statements, opinions. The other is from a simple perspective of agree/disagree with the basic stance. Just look at apple/android discussions. There's no point in comparisons based on price, features, function because if the overall sentiment is perceived as favouring one platform over the other the fanboys jump in relying on emotion, invective, irrelevant and poorly researched "facts". Bottom line is that the quality of discussion in online forums renders most of them worthless. Read what I wrote. I wasn't writing off the whole concept but highlighting that it was (3 years ago) slow, expensive, limited capability. Some of the industrial kit even back then had real-life applications but the promise of going to your motor dealer for a part and they'd print one off as the popular press would have us believe is at the very least a long way off. I'm pleased to see that 3 years on, low end machines have got even cheaper and the better hobbyist kit will print your plastic egg cup faster and to higher quality. Give me a shout when I can get just the plastic housing for a wing mirror for the car, as soon, as cheap, as good, as the one from the motor dealer. The market remains for specialist one-off components & prototypes and it's expensive. If you want to reply to a considered posting at the very least provide facts and figures, specific examples. Did I say the whole idea is a dead end? No I said "it does have a place". The hobbyist machines were essentially toys for producing expensive low quality novelties. There are now some more impressive demos out there like https://www.digitaltrends.com/cool-tech/3d-printing-curta-calculator/ but that had to be scaled up to 3 times original size because of using plastic instead of metal. It took a 18 months to make including over 9 days printing time on a $3000 machine and the parts needed sanding to a smooth finish. Impressive as it may be, it remains a novelty hobbyist demo with no practical use.